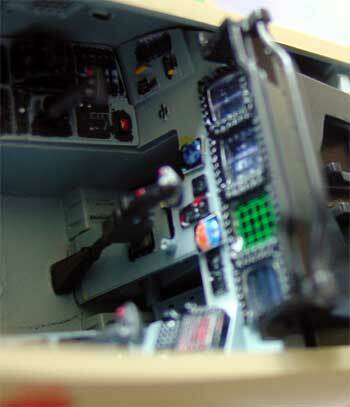 Note little knobs and handles added to side wall edges and instrument panels. 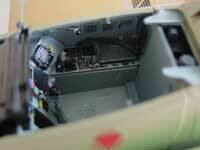 The cockpit is very neat and clean... as on the real plane. 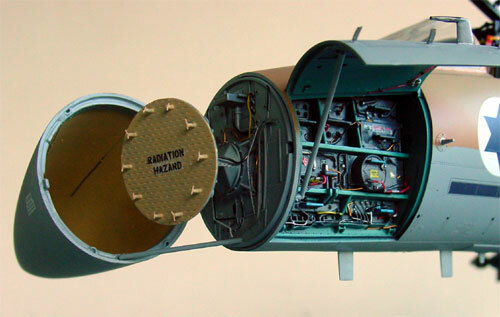 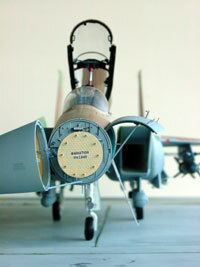 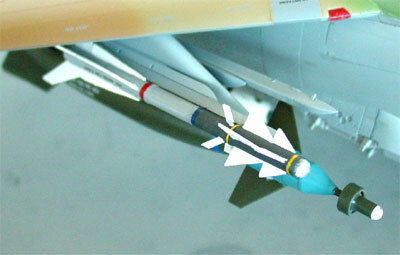 A special AA missile was made from an old US Sidewinder from the Academy F-18 kit. 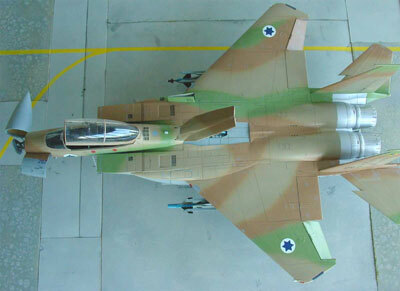 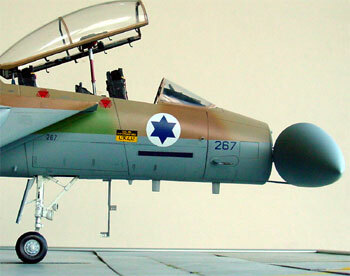 The Israeli "Python" misille has a different fin layout and the new fins were made from card. 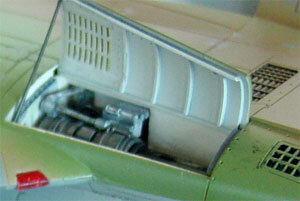 Also, a seeker was added from a piece of transparant plastic. 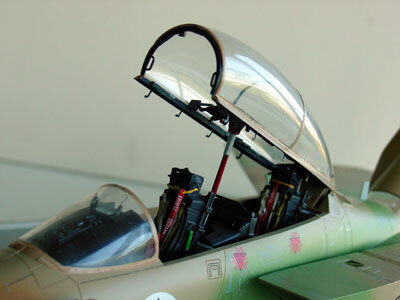 Conclusion: the Tamiya kit builds into a very nice model. 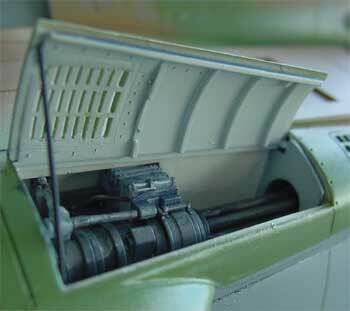 It is very detailled. 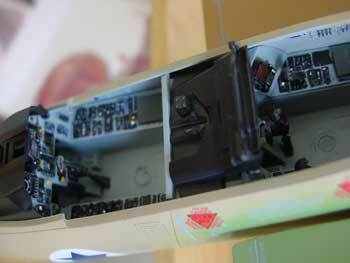 It takes considerable work and has a lot of parts, so is not for the beginner. 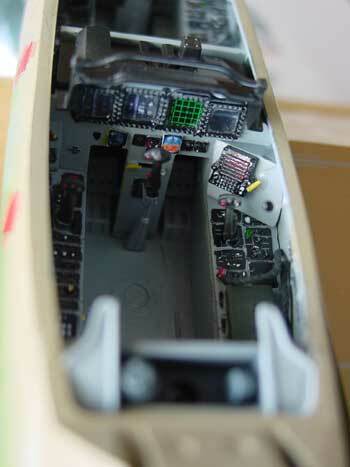 With some adjustments, a conversion in for example a F-15I can be done.